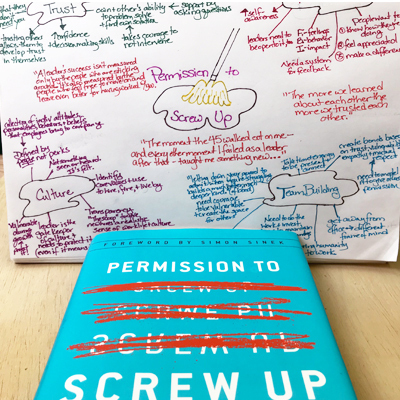 After recently reading and reflecting on Permission to Screw Up by Kristen Hadeed, I became curious about what she and her company Student Maid have been working on and struggling with since the publication of the book. I decided to reach out to them and ask. I love that even though I didn't hear back from Hadeed herself, her team had systems in place to be able to respond to my questions. The thing that jumps out to me is the focus on continually learning through self-assessing, reading, and experimenting. Below you will find my questions followed by the response. 1. 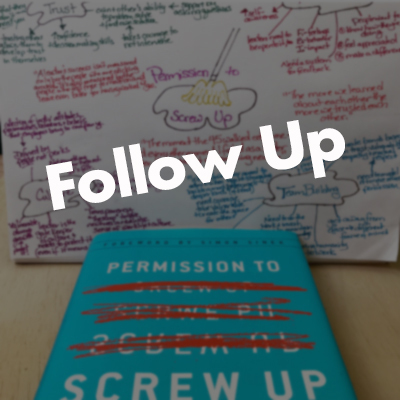 What "screw up" have you experienced since writing the book and what has it taught you? Read this article that Kristen recently posted about a big screw up at Student Maid? https://www.linkedin.com/pulse/i-screwed-up-today-big-time-kristen-hadeed/. She also wrote a follow up one to that post here: https://www.linkedin.com/pulse/my-big-screw-up-aftermath-kristen-hadeed/. You might be excited to know that Kristen is working on developing more content to share! One of her plans is to constantly share the screw ups we and our team are making over at Student Maid, so be on the lookout for more articles like these coming in 2019. 2. 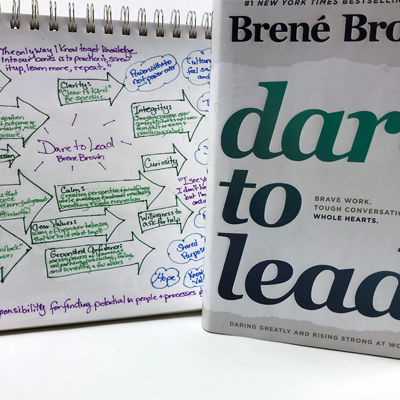 What new practice are you currently implementing/testing (either in terms of your leadership/speaking or with the Student Maid team)? As far as new practices, Kristen is really focusing on implementing business systems and processes. We have realized that we focus heavily on culture, and while that is great, our business systems and processes need to be equally as strong. We are currently reading the book Traction as a team and are working through the steps in the book. 3. What recent books have given you new insight or ideas for new practices to try? And/or what's currently on your "to read" shelf? Kristen has us all reading Dying for A Paycheck and we are having a team discussion on it next month. It's about how disengagement affects our health and it's really interesting (and sad) so far...highly recommend!